scilearn.com/products ■ Retail price: Pricing options for Fast ForWord vary. The program is available through individual or site-based licenses, or on an annual or perpetual subscription basis. Call 888-816-0010 for more information. 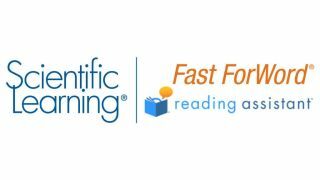 Fast ForWord is a research-based cognitive skills program that helps K–12 students with special needs, struggling readers, and English language learners to build the foundational language and cognitive skills necessary to be successful readers. Reading Assistant uses speech-recognition technology to provide real-time corrective feedback for learners as they read aloud, which helps build fluency and comprehension. Both programs are designed to support, not replace, existing curriculum. Quality and Effectiveness: Fast ForWord with Reading Assistant helps build skills in the following areas (depending on grade level): phonemic awareness; phonics; vocabulary; fluency; listening and reading comprehension; working memory; morphology; spelling; word identification; alphabetizing; recognizing, ordering, and constructing sentences; syntax; capitalization; paragraph completion; punctuation; critical thinking; abstract reasoning; summarization; figurative language; interpreting tables, schedules, and instructions; and using diagrams, graphic organizers, flowcharts, and concept webs. Reading Assistant measures accuracy, rate, and reading comprehension using voice-recognition technology. Teachers can incorporate Fast ForWord, which features over 300 passages at different reading levels on a variety of topics, into a number of content areas. The program identifies areas of weakness after students complete each exercise and offers additional practice pages. Ease of Use: The interfaces for both teachers and students are clean and easy to navigate. Students log in to find the assignments their teachers have created. Fast ForWord presents exercises in a game-like interface so students interact with words and reading in a fun and engaging way. Students using Reading Assistant can read silently or have the selection read to them. The word definitions provided help with comprehension. In the second step, students read aloud and the program provides visual clues for rereading words they mispronounce or with which they’re struggling. Students also benefit from fluency reports at the end of each exercise as well as reading comprehension quizzes. The teacher dashboard features key reports on students who may need attention, built-in tips, and PDF guides for each topic. Live support is also available on weekdays via telephone or LiveChat. Customers with an Internet connection can access the program using iPads, Windows XP and later, Mac OS X 10.5 or later, and Chrome OS. Reading Assistant’s voice recognition technology requires the use of specific headsets. Suitability for Use in a School Environment: Because Fast ForWord and Reading Assistant are designed to support, rather than replace, the curriculum, it’s easy to implement exercises at any time during the school day. Fast ForWord can be used in the classroom or at home. Reading Assistant passages cover a variety of genres and content areas, including science, social studies, and literature, as well as topics that are of interest at different age levels. Teachers can choose passages and groups of passages that align with the current curriculum. ● Powerful reporting features allow teachers and district-level staff to see how individual students and whole classes are performing. ● Unique technology features make it easier for teachers to assess all students on reading fluency and speed. ● Designed for both elementary and secondary students, one product can be used at all grade levels.